JACOB REID (READ) (REED) (REEDE) (abt 1770 – aft 1850) was born in Pennsylvania. 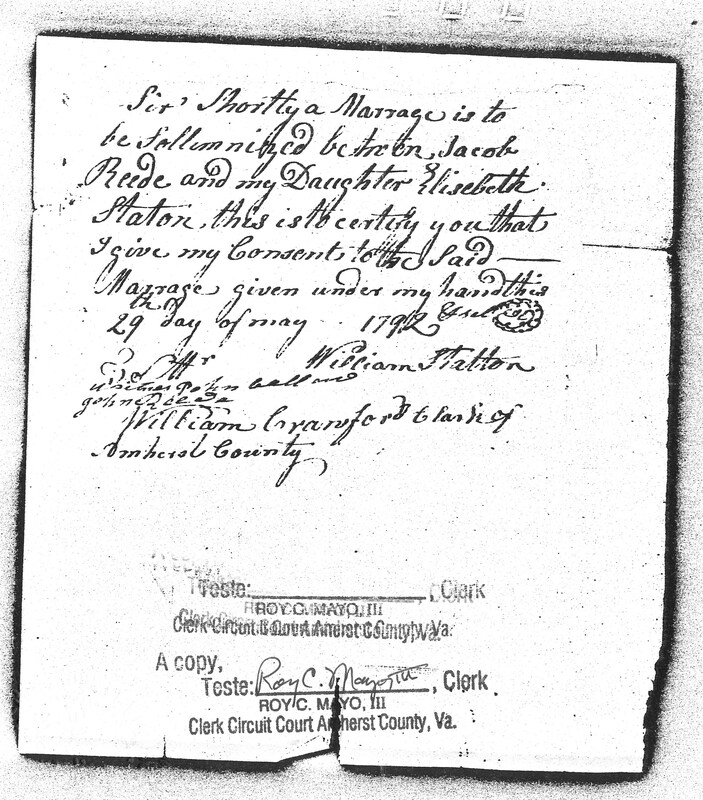 Jacob married Elizabeth (Mary) Staton on 30 May 1792 in Amherst County, Virginia. They moved to Oglethorpe County, Georgia in 1796 where they lived until well after 1830. While living in Oglethorpe County, Jacob and Mary had nine children of record – five sons, and four daughters. Jacob and Mary lived full lives, and both died while living in Georgia. We have no record of Jacob’s specific date of birth and no confirmed record of his parentage, although after 40 years of research we do have some strong theories. While the Reid/Reede surname suggests the possibly of Scotch-Irish ancestry, scarcity of records and the variant in spelling of the Reid name in available historical records, seen on occasion as Read, Reed, Reede, and Reid, has complicated the research. The results of a recent paternal lineage genetic test (Y-DNA) place Jacob in the E1b1b Haplogroup, a rare classification for American immigrants from Scotland and Ireland. Yet the possibility of Scotch-Irish heritage still exists, and more importantly, the search for Jacob’s ancestors continues in earnest. A significant number of northwestern European immigrants to North America came in the mid 1700s landing in Philadelphia and migrating quickly to established settlements in Lancaster, Berks, and York counties. Historically, we know that many of these immigrants were heavily involved in the Revolutionary War, and were more likely to migrate to less settled regions than other immigrant nationalities. What we know about Jacob’s life history follows. While the exact circumstances of Jacob’s youth are unclear, undoubtedly his early years were filled with a mix of excitement and uncertainty. As an adolescent and early teen, in the peak of his formative years, Jacob was living in the heart of Revolutionary America. Too young to formally engage in the war, like many other youth of that day, Jacob may have been called upon to help support those who were directly involved in the conflict. For every soldier who carried a rifle, there were many more who shuttled supplies, tended to livestock, and saw to the routine duties at homes and farms that were left to their care. Every American in that day sacrificed in some way for the cause of freedom, and Jacob would have been no exception. Many, Jacob possibly among them, were called upon to bear one of the more difficult consequences of war – life thereafter without a father. We have yet to find records sufficient to confirm that speculation, but there is much of Jacob’s early adult life that supports the thought. Regardless of the actual sacrifices he made for the cause of freedom, we believe Jacob was raised a patriot, and the circumstances of history and his actions later in life support that. Following the War, Colonial America continued its rapid expansion. 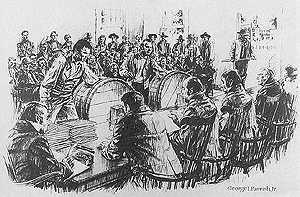 New settlements were established quickly as federal land was made available to veterans of the war and friends of the country. 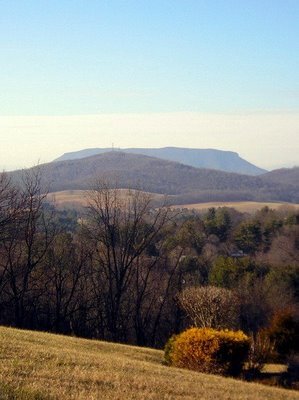 Jacob was too young to directly participate in early post-war expansion , but tax records do place him in Rockbridge County, Virginia in 1791 as a young adult living near other Reids, presumably family. Being a young able-bodied bachelor, Jacob sought work in neighboring Amherst County, likely employed as a laborer by one of the prominent land owners of the area. Jacob lived near, and possibly associated with, many of the residents of Lexington Parish, Amherst County including Ballews, Callaways, Colemans, Higginbothams, Pettyjohns, Ruckers, Statons, Wades, and Warrens. The area was known for its rolling hills, rich with timber, fertile soil, and division by small tributaries such as the Buffalo, Stoval, and Rockfish. It was while working in Amherst County that Jacob met Elizabeth (Mary) Staton. They were married soon after on 30 May 1792. Since Mary was under the age of 21, her father, William Staton, was required by law to provide written consent to the marriage. John Reede and James Callaway were witnesses to the marriage consent. Neighbor John Ballow co-signed the marriage surety bond, to which both he and Jacob were obligated. 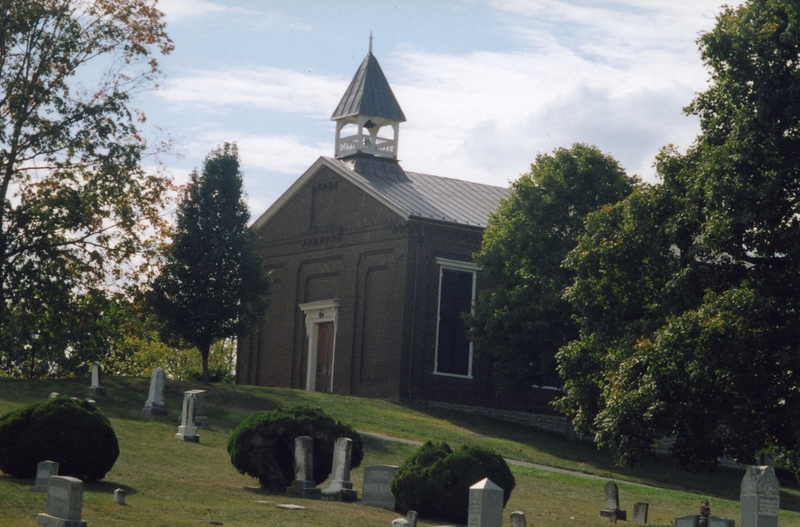 The marriage was performed by the Reverend John Poage Campbell, associate minister of the Oxford Presbyterian Church of Rockbridge County, Virginia, which still meets as a congregation in the same location today. 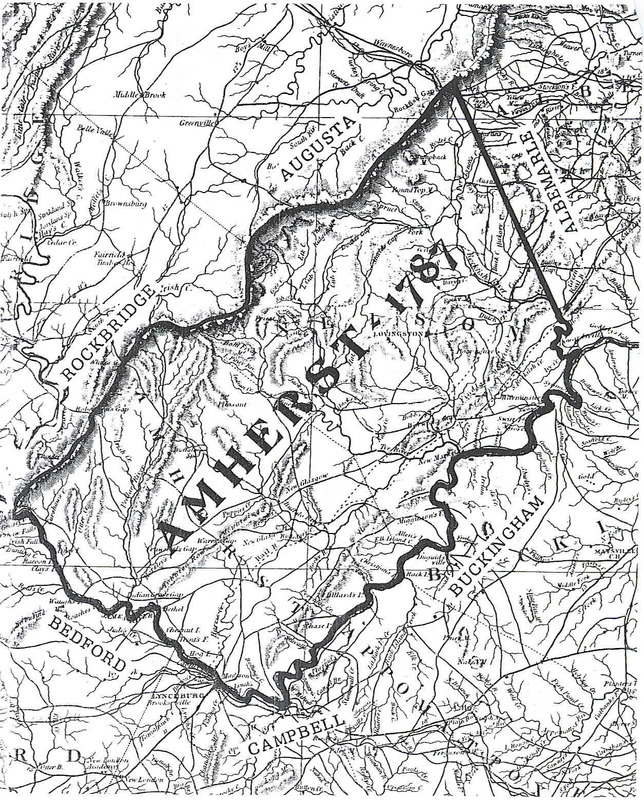 After their marriage, Jacob and Mary lived near family and friends in Amherst and Rockbridge for three years. Like most newlyweds, the circumstances of their early life together were fairly humble, as evidenced by tax records noting their only taxable personal property as either one horse or one cow. Evidently, Jacob’s new commitment to the welfare of his family was not his sole concern. His love of country was again manifest early in his marriage when, in the summer of 1794, Jacob engaged in a 3-month commitment to the Kentucky Mounted Volunteer Militia. This was likely the first time he took a formal oath to protect his country, but it would not be his last. We have no record of his specific service other than he received $100 for the 3 months that he was so engaged. It is interesting to note that, in that same year, a Samuel Reed and John Reed also enlisted and served in the same militia group. As Colonial America continued its expansion, many states began issuing land by either bounty or headright grant to lure settlers to their states. By 1796 Jacob and Mary had moved south with other family members to Oglethorpe County, Georgia, likely drawn there by the enticement of land freely granted by the state of Georgia to those eligible for homestead. One year after their arrival in Georgia, Jacob applied for and received a Headright land grant of 300 acres in Oglethorpe County, Georgia. The amount of land granted was indicative of Jacob’s status at the time. To be eligible, one must be at least 21 years of age, loyal to the United States, not a convicted felon, and committed to work the land being granted. By rule of the granting process, Jacob received 200 acres for himself, 50 acres for his wife, Mary, and 50 acres for each living child, in his case, daughter Pensy. Tax and census records indicate that Jacob and Mary lived in various Militia Districts within Oglethorpe County, Georgia from their time of arrival in 1796 until at least 1830. 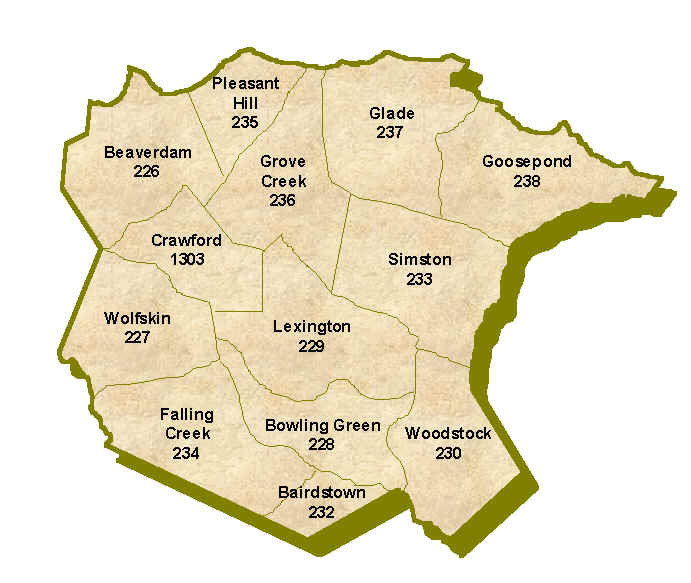 The 300 acres of land Jacob obtained by headright grant was described as land bordered southeast by W. Bridges’ land and southeast by Gideon’s land near the Long Creek in the Lexington Militia District of the county. Even though Jacob sold 100 acres of the land to Russell Jones in August of 1799, we believe he lived on or near the land for many years thereafter. We’re not certain of his occupation, but we believe Jacob made his principal living raising cotton or growing tobacco, as did many other residents of Oglethorpe County at the time. The soil and climate of that region were well-suited for both crops, although there were some years when drought and disease took its toll. The varied success of agriculture from year-to-year may help to explain why Jacob is noted as moving from one Militia District to another within Oglethorpe County during this period of his life. Jacob worked hard to sustain his growing family. What little spare time could be allocated to other pursuits included an apparent interest in the social and moral benefit of affiliating with a religious congregation. In 1803, while living in the Lexington area, Jacob and Mary joined with her parents, William and Mary Staton, in membership in the Bethlehem Primitive Baptist Church congregation. Jacob must have been too busy or otherwise not too concerned about his standing with the church, because he was later removed from its membership. 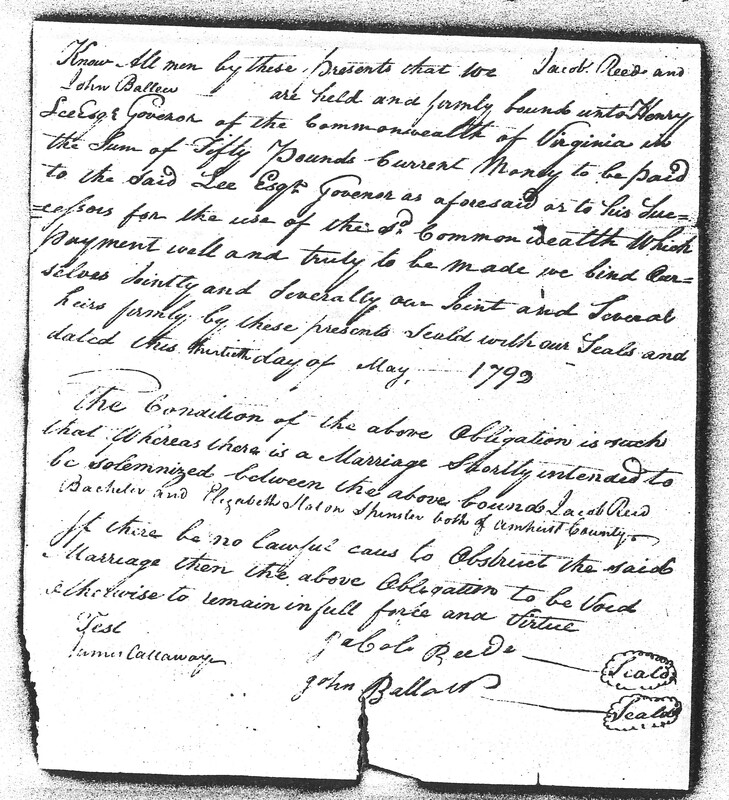 Apparently, Jacob was somewhat of a risk-taker as well, because he joined with many of his neighbors in participating in the early Georgia Land Lotteries of 1805 and 1807. In the lottery of 1805 he was eligible for two draws, both of which were blank. Undaunted, he tried his luck again in the 1807 lottery, this time successfully drawing a lot in newly formed Wilkinson County. It was common practice for successful lottery drawers to sell their lottery draw after winning. This may have been the case for Jacob, since we have not been able to locate any records regarding the disposition of that land. As devoted as he was to providing for his family, Jacob’s commitment to preserving the sovereignty of the Nation never wavered. While living in Lexington he enlisted in the Georgia Militia during the time of the War of 1812. His enlistment record provides some insight into his physical characteristics at the time, listing him as 43 years of age, 5’10” tall, having black hair, dark eyes, and a dark complexion. 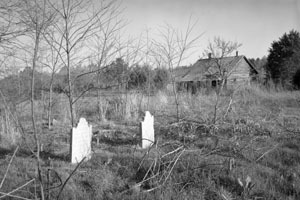 From 1820 to 1830, Jacob and Mary continued to live in the various militia districts of Oglethorpe County, often near many of their married children. The 1830 Census is the last known record where we find Jacob and Mary living together. We’re not certain when or where Mary died, only that it was after the 1830 Census was taken. After 1830, it is difficult to track Jacob because he is no longer subject to poll tax due to his age. While still a resident of Oglethorpe County, Jacob participated in the 1832 Cherokee land lottery in which he successfully drew land in what is now known as Floyd County, Georgia. Jacob did not take possession of the land, but instead sold it to Dennis Parchal. We have no other record of Jacob’s residence until 1840, when it is recorded that he was likely living with his daughter, Nancy Reid Abels, in Oglethorpe County. It is possible that by that time Jacob had sold his land to Nancy’s husband, John F Abels, and that John and Nancy were continuing the operation of the farm. Mary is not recorded as living with the Abels, again suggesting that she had died sometime previously. 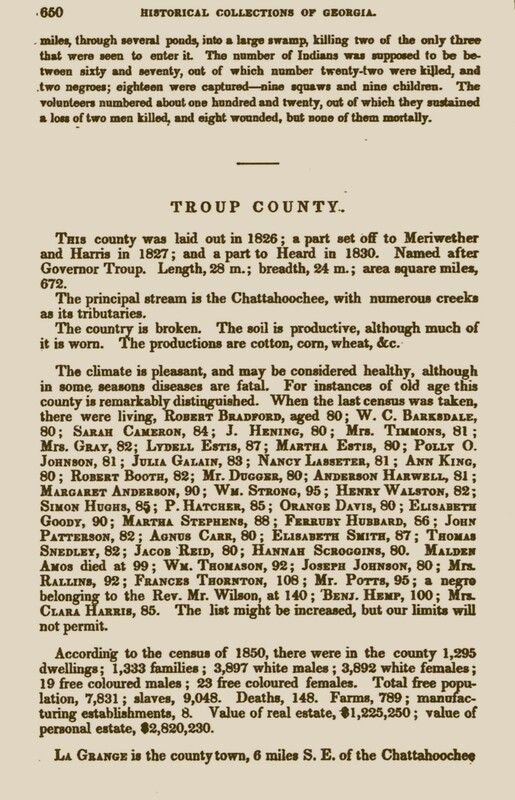 In 1850, Jacob is listed in a published Troup County history as one of its oldest living residents at age 80, as noted in the 1850 census of that county. To live to age 80 is remarkable in any recent century, but certainly under the challenging circumstances that Jacob lived. His longevity was likely due in part to the fine care he received later in life from his loving daughters. It would appear that he spent time with each of them in those later years. Jacob’s daughter, Pensy Reid Vaughn is noted as living in District 800 of Troup County in 1850. Jacob is not recorded as living with Pensy, but he may have been living somewhere nearby at the time he was recorded in the Troup County census. 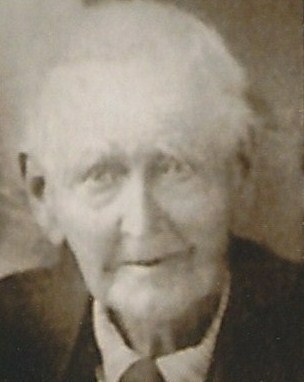 He is also listed in the Pike County Census of 1850 living with his daughter Mary Reid Wilkerson. Appearing in multiple census records in the same year could be explained by his travel to and from each daughter’s home for care during the period of census taking. Jacob died sometime after his appearance in those records in 1850, likely while living with one of his daughters as was the pattern of previous years. The date and location of his death are unknown. What we do know is that Jacob Reid lived a full life, one in which he dedicated himself to raising a large posterity and defending the country that he loved. 1770: Lancaster County, Pennsylvania, born to unknown parents. July 1794 – Oct 1794: Member of Kentucky Mounted Volunteer Militia, Whitaker’s Battalion. Enlisted on same day as Samuel Reed, and John Reed. 8 Aug 1797: Oglethorpe County, Georgia, Awarded Headright Land Warrant #1652 for 300 Acres (200 acres for self, 50 acres for spouse, 50 acres for living child). Land surveyed by John Moore. John Griffith and William Bridges chain bearers. Land southeast of Bridges land, southeast by Gideon’s land and on other sides by surveyed land. 8 Jan 1798: Oglethorpe County, Georgia, Headright land survey approved, land conveyed. The picture was taken from an Oglethorpe County newspaper archive. Unfortunately, the depiction did not include the name of the property owner, just that it was taken in the Goose Pond area. I reviewed the history & updates of great, great, grandpa Jacob Reid. I simply want to thank you for your dedicated efforts. Wouldn’t it be wonderful that we could establish who his parents were and traverse the ocean to Ireland or whereever our European family members came from. If you feel that you want me to research a particular area to help support your research efforts, I stand ready. I have hit a wall researching my Reid line. They settled Wilkerson Co. Georgia via Indian Land lotteryI have lots of info on grandmothers etc. But, I seem to have hit a wall at my GGG grandfather Gholston Reid (Brother was Fletcher Reid). I am on the trail of a Peter Reid (married Juldah Culver 17 sep. 1807) as my GGGG grandfater or possibly a William Reid (Born in N.C. in 1799. I wonder if any of our names match? If you have any links to the Reid puzzle I wold very much appreiate it.